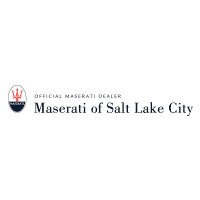 Welcome to Maserati of Salt Lake City’s Financing Department! We’re happy and excited to help assist you with any of your loan or leasing needs, whether you’re in the market for a new or used vehicle. Here at Maserati of Salt Lake City, our customers come first. Our goal is to get you your dream car, at the price that works for you. High end cars don’t have to break the bank, and our job here at the Maserati finance center is to make sure you get the car you want, at the price you want! No or poor credit customers can still qualify for financing here at Maserati of Salt Lake City. We want to work with you no matter what your credit situation is. Our finance specialists are trained to help you get the specific lease rate or financing options that you need. They will do whatever they can to make sure you are completely satisfied with your financing. Additionally, low-interest car loans and refinancing can be good options for you if you have an existing loan. Our experts know how to work with each individual situation to make sure you are satisfied with your loan agreement. We’ll work with you and find the right financing options for your situation and have you driving home in your dream car! Now what about a Maserati lease? Maserati leasing is definitely an option here at Maserati of Salt Lake City. You can lease a Maserati for a great price, starting as low as $600/month. Our Maserati lease price is highly competitive with other leasing options for Maserati’s around the country. We also offer Maserati lease specials which may knock the price down even more!